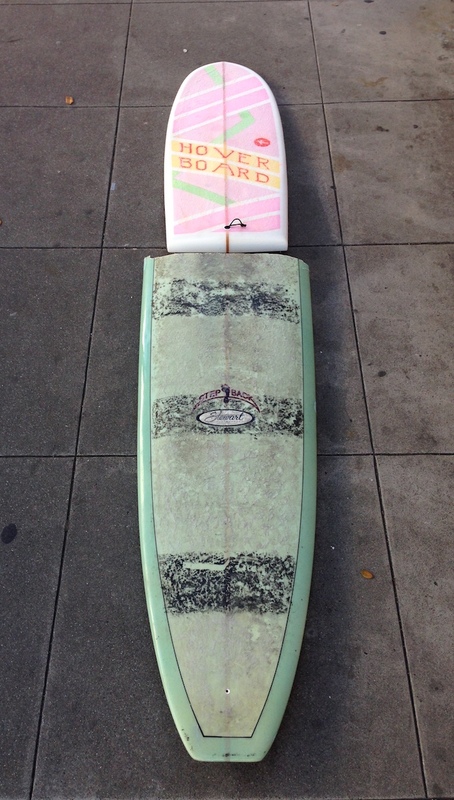 After I finished painting the board I dropped it off at Sunset Shapers in San Francisco to get glassed. It was winter, the busy season in those parts, when big winter waves broke boards and drove demand for new ones, so I figured it would be a while until I eventually got it back. I wasn’t in much of a hurry anyhow. 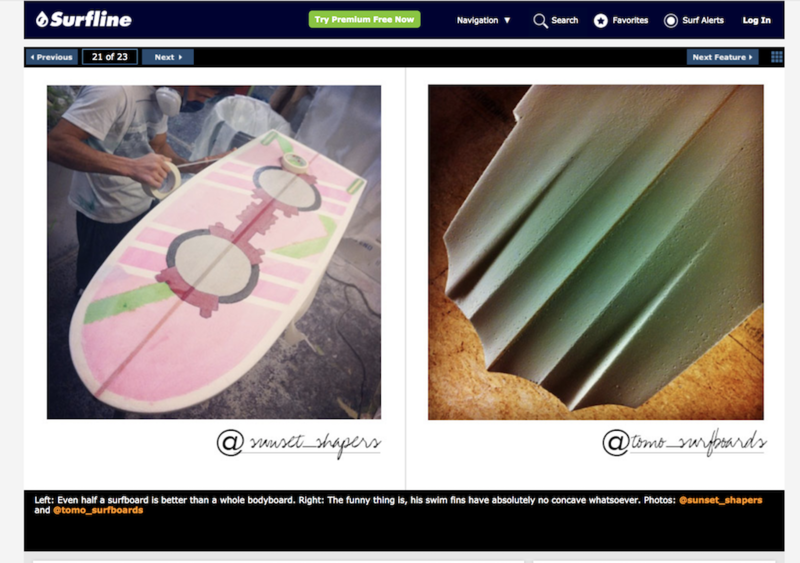 A few weeks later while browsing Surfline I noticed my surfboard had made the weekly social media roundup. It was sitting next to a Tomo creation, nonetheless, which made it even cooler. 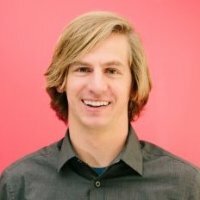 Daniel Thomson, founder of Tomo surfboards, is a (much, much, much better than me) shaper that I really respect and who I had met a few times while working on SurfScience.com. He really pushes the boundaries of what is possible and backs it up with amazing surfing – to have my experiment share a page with his as ‘look at these weird things’ felt like an honor. That picture let me know the board was in progress, the fin boxes were in and it looked like he was getting ready to glass the bottom. You can see that I decided to go with a twin fin design with the fins really close to the edge and just a slight angle. 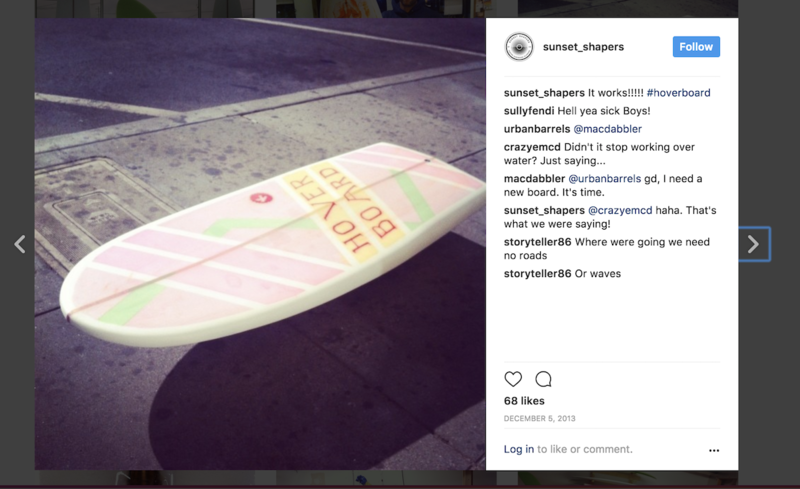 A bit after that I saw another post on Sunset Shapers’ instagram feed and new my board was ready. I brought the board home, put on a nice coat of wax and took some pictures to marvel at the finished work. Here is the finished board sitting next to its other half. 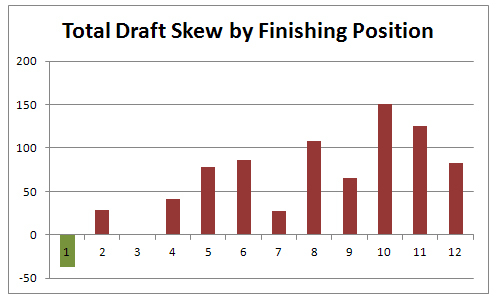 This pictures makes it pretty obvious how much I shaved off of the back of the rails in order to get a decent outline. 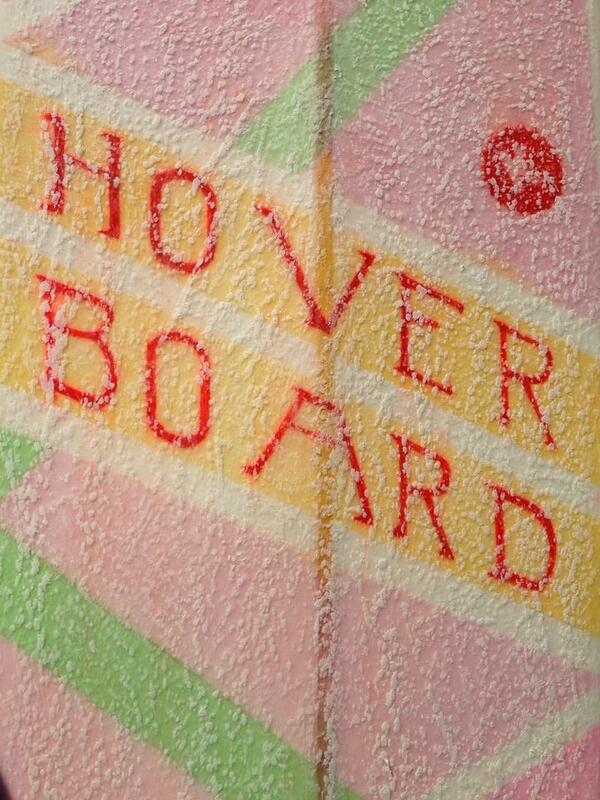 Finally, a nod to the movie that inspired the board – Back to the Future. As a project I am really happy with how it turned out, the board looks cool, generated a good amount of attention while being built and always draws comments at the beach. If all I do is have it on the wall as an art piece, it was a worthwhile project. But, it is a surfboard, so I’ve got to try and ride it. Part of the reason this review took four years to write is because it took me a long time to find the right conditions for the board and get a few solid surf sessions in so I could actually figure it out. Here are my thoughts. All said and done the board measures in at 4’3″. That is over a foot shorter than my next shortest board which measure in at 5’6″. 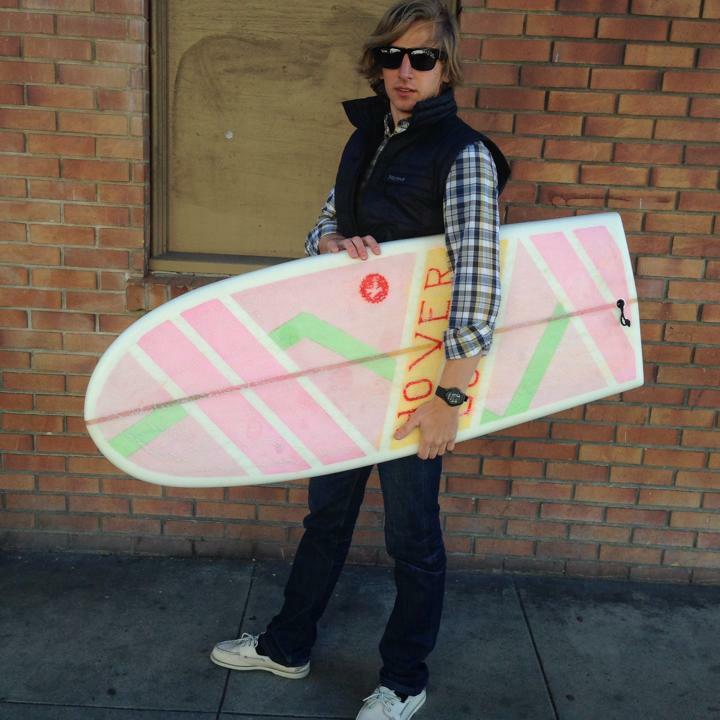 I pride myself in being able to ride all sorts of surfboards, from that 5’6″ slop chaser to my 10’6″ Mavericks Gun. I ride shortboards, longboards, retro boards and anything else I can find – so I figured I could make this board work. There is very little foam to begin with, so it sits completely under water. There is almost no rocker (the curve from the front to the back of the board) so it has a tendency to dive. It is short so it doesn’t carry momentum like a longboard does. It is so small that it is really hard to position your body on and it isn’t convenient to grab a rail with your hands between strokes to help stabilize it. I’ve surfed on a piece of wood before and paddling this was a comparable level of difficulty. I tried various methods, starting with attempting to paddle it like a normal board, then trying to use it like a kick board. At one point I gave up and just walked out most of the way while carrying it under an arm. I eventually settled something that is more like swimming with the board under my chest and readjusting it every 4th or 5th stroke. It isn’t exactly easy, but it sort of works. I tried a lot of different waves and found that I needed really glassy and kind of steep waves, but it was ok if they were small. Chop would kill attempts to catch waves because there wasn’t enough board to cut through it. Mushy and slow waves just weren’t catchable, there wasn’t enough power in them and I couldn’t generate the power to compensate through paddling. My favorite day on this board ended up being a low tide beach break on a glassy winter day in Southern California when the waves were 2-3 ft. They were pitching enough they’d give some kick to help me get up and breaking down the line to give me a nice place to sit while I rode. I ended up having my best luck getting right to where the wave broke and using that force to get me up to speed. I actually had really good luck using a move where I applied my weight to the board to get it to sink and then used the rebound to get some speed before doing two quick paddles as the wave broke. Once I caught the wave I had to try and stand up. I didn’t have much luck with this at first and ended up riding a lot of waves on my belly or front knee. It seemed like maybe this board was better as a hard bodyboard or kneeboard. On a surfboard you achieve balance by identifying the fulcrum point and having your weight distributed evenly in front and behind it. If you aren’t balanced you’ll either nose dive or stall back. This takes some time to get good at while paddling but the real trick is keeping balanced as you transition from lying to standing. Having surfed for 20+ years, I can pop up quickly while staying balanced practically in my sleep. I push up and my feet end up in position with the fulcrum located about where my hips were previously. The trouble was the back of the board was so far forward that my normal pop up was leaving my back foot off of the board entirely, causing me to fall back into the water. Even when I managed to get it on the surfboard, my weight was usually so far back, relative to the surfboard’s length that it pushed the nose up and caused the surfboard to act like a giant brake. Then I’d lose momentum and the wave. It turns out what I needed to do was to get my feet spread out and up closer to where my chest had been. If this doesn’t seem tough, practice at home, lay down and up a piece paper under your chest. Now push up and in one move bring your feet onto that piece of paper while remaining balanced. After a lot of practice I was able to get up consistently. I’ve surfed an alaia before, which is basically a big flat piece of wood that is rounded at the front. Steering this wasn’t quite that difficult, but maybe half way between the difficulty of that and a normal board. I chose to go with two fin boxes and got a few sets of fins to test out including two nubs, like the ones pictured below, two small fins from a quad setup and two of the larger fins from a quad setup. My first tests I used the smaller fins from the quad setup. You can see from the picture that even those stuck out beyond the back of the board due to where I placed the boxes. That meant that my knees or feet would periodically hit them when paddling, going to sit on the board or even popping up. 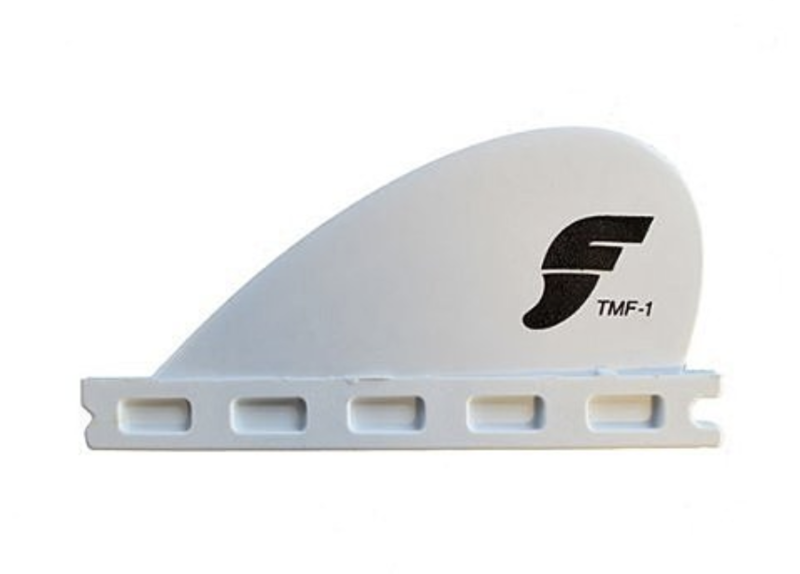 Though these fins offered more control, the puncture risk seemed too high to continue to use them. The nubs were actually what I had in mind when I designed the board. The originally Simmons boards had much longer and sweeping fins dropped from the top straight to the base as opposed to cutting back like a shark’s fin. They don’t give as much hold, but seem more true to the spirit of the board. Once up on a wave, leaning over and applying pressure to make turns isn’t really doable. The rails aren’t very curved, so you can’t get a nice arc off of them. The board is likely to spin out if you push very hard at all because the fins don’t have much hold and the board is so short. You also don’t have much surface area to rely on to cary you over the water because the bottom is so small. You also don’t have much foam to re-catch the wave if you make a quick pivot like you would on a log. So basically all of the normal turning options don’t work well. I found that I had the best luck crouching and taking very slow & wide turns, much like those on a displacement hull. A better surfer might have better luck. I’m reminded of Ryan Burch surfing an unglassed piece of foam in head high waves – though even that was 4’10”, which gave a bit more float and carry. All of that said, this isn’t a very good surfboard. At best it is a novelty. Not all boards need to be good though. 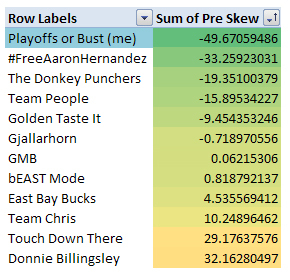 Sometimes what I’m looking for is the best board for the day, but other times I’m just looking to have fun. 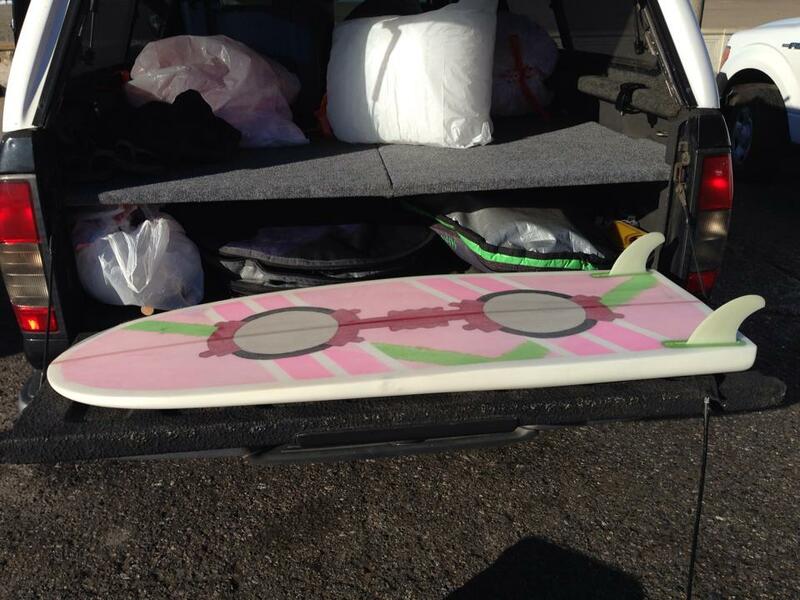 I’ve got a few novelty boards – retro, slop-chasers, soft tops and black ball beaters. None of them are the boards you take out on a perfect day, but all of them help add some stoke to your year by letting you get out the water and have fun on a day you might otherwise not. What I liked about this board is that it felt like it could be the center of a fun day at a beach break. It could sort of be surfed, enough that it felt like surfing, and it was so skatey that if I practice enough I might even be able to pull off some cool spins. But it could also be ridden prone. It was a great board for hunting 2′ close out barrel because there wasn’t much board to worry about breaking. It could even work as a knee board. It put me close to the waves in a different way and changed things up. Sometimes changing up the conditions is a great way to get out of a rut or to open up a new door. This board seemed perfect for that. Shoot, give me a few friends with a soft top, a hand plane and some fins and we might even have a really great group session, trading back and forth and just enjoying the water. What more can you ask for?